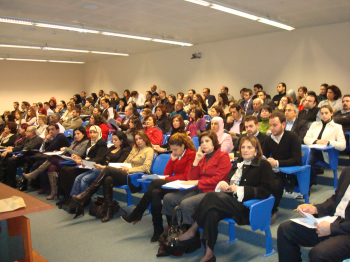 The Alumni Relations Office organized a lecture about “Emotional Intelligence” on Friday January 22, 2010 at the Business Building, Beirut Campus, room 904. The lecture was presented by Dr. Michel Chalhoub who combines academic as well as industry experience. Dr. Chalhoub discussed how EI offers new ways to look at people’s management style, attitudes, interpersonal skills, and behaviors as it has applications in human resource management, customer relations, and management development. Over 230 alumni and friends attended the event which was followed by a reception.